Will Carver is an AV rated, extremely knowledgeable, experienced and hard-working litigation attorney who values the relationships he builds with his clients and their businesses. He is a creative problem solver who diligently focuses on understanding his clients' goals, challenges and opportunities and provides his clients effective and efficient representation. His primary areas of practice are Litigation, Employment and Labor and Local Government and Public Utilities. He also helped develop the firm's Creditor's Rights and Bankruptcy practice areas and serves as City Attorney for the City of Townsend, Tennessee. In August 2013, Tennessee Governor Bill Haslam appointed Mr. Carver to serve on the Tennessee Education Lottery Board of Directors which oversees Tennessee's one-billion dollar annual lottery sales and in June 2018, he appointed Mr. Carver to a second term. Proceeds from these sales fund college scholarships, after-school programs, and other education initiatives. Mr. Carver also serves as a Board Member for the Tennessee Chamber of Commerce. Legal Aid of East Tennessee selected Mr. Carver and one other attorney to receive its 2010 Pro Bono Partner Award for his role in establishing a Saturday Bar Clinic in Blount County, Tennessee. 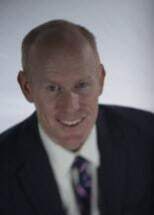 He has successfully handled cases in both state and federal courts throughout Tennessee involving the publishing industry, software industry, shipping industry, aircraft industry, music industry, construction trades, banking industry, manufacturing industry, government contractors, insurance coverage disputes and retail businesses. Mr. Carver represented a national manufacturer in a federal court lawsuit brought by a vendor alleging breach of contract. The District Court granted a Motion to Dismiss in his client's favor. He successfully litigated multiple declaratory judgment actions in federal court on behalf of an aircraft insurance company. Mr. Carver successfully defended a package carrier in various lawsuits for property damage throughout East Tennessee. He also represented a national music industry company in a significant collection action against a business who misappropriated copyrighted music.